Here, we do what we say we’re going to do. That get-it-done attitude has been part of our brand culture from the start. If you have a question, we’ll find an answer. If you need support, your service team is always on call. At the end of the day, you spend your time supporting the most noble of missions—bettering healthcare. And as much as we can, we find ways to support you and help you do it better. The mission to serve is in our blood. It’s why we do what we do. As a company, we instill that mantra in every employee, every consultant, every contractor, and anyone with whom we do business. Our core values – Agility, Courage, Collaboration, and Respect – are the foundation of our operating philosophies, ideals, and principles that guide the behavior of our organization and shape our culture. 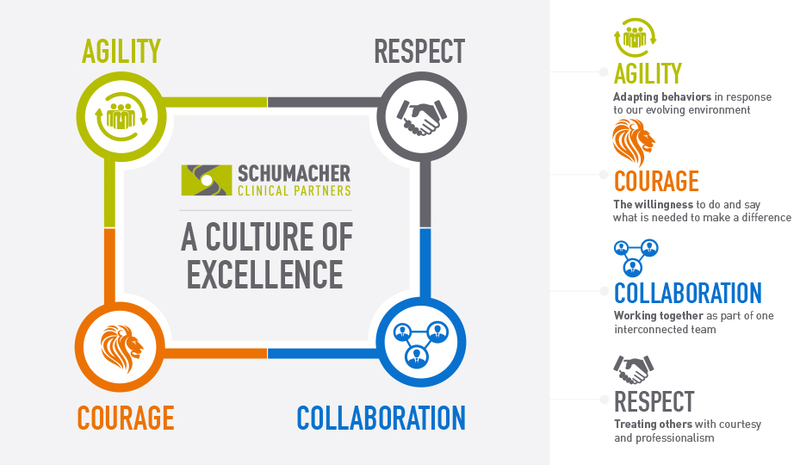 See how we foster a culture of excellence that allows our employees and partners to lead, build relations, create change, advance programs and careers with SCP. Partner with us and make your career more meaningful. Emergency Department Practice Management Association. In fact, our original founder, Dr. William “Kip” Schumacher, is the co-founder of EDPMA.